Identifying total bitumen content (TBC) in oil sand mining helps gauge economic viability of the deposit and prepare for the ensuing proper treatment of the ore to recover bitumen and transform it into synthetic crude oil. Deposits are not homogeneous and include variability in clay, bitumen, fines, and water that impact mining and recovery. 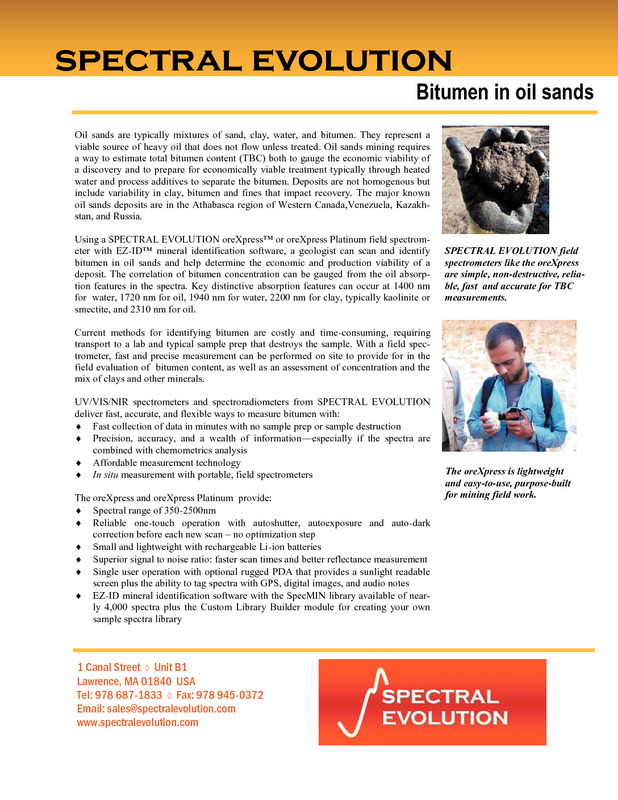 Using an oreXpress geological field spectrometer with EZ-ID mineral identification software, a geologist can scan and identify bitumen in oil sands and help determine the economic and production viability of a deposit. The major known oil sands deposits are in the Athabasca region of Western Canada, Venezuela, Kazakhstan, and Russia. Key distinctive absorption features can be seen with the oreXpress at 1400nm (water), 1720nm (oil), 1940nmm (water) 2200nm (clay – typically kaolinite or smectite), and 2310nm (oil). 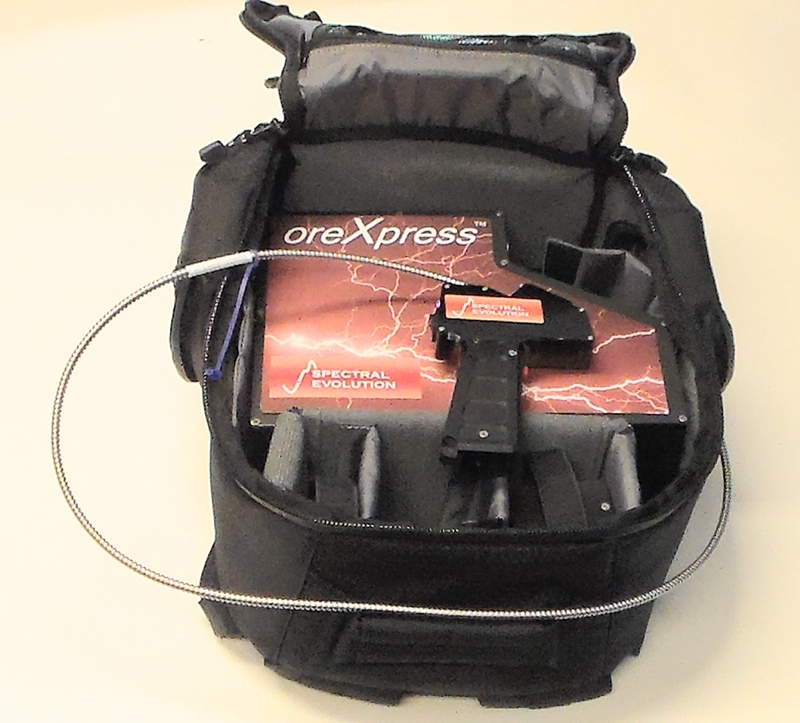 Field portable spectrometer that is fast, accurate, and built for rugged use in the field. 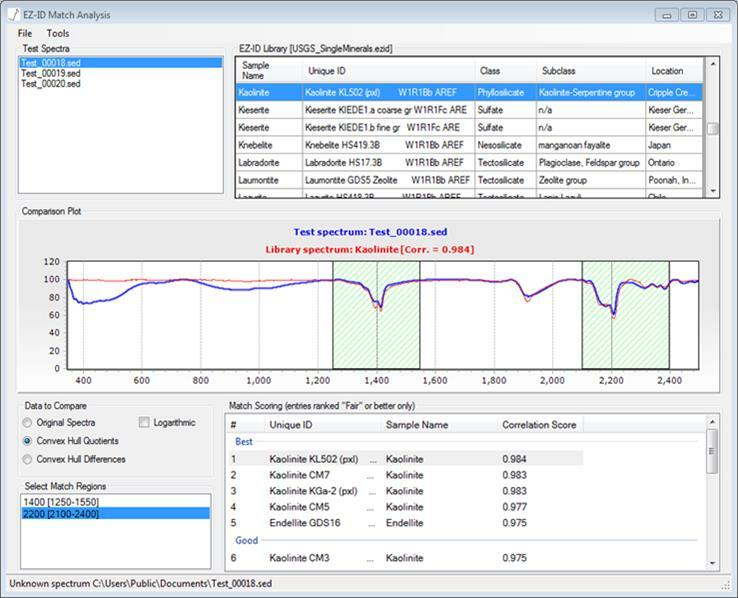 Match your target spectra against more than 1100 minerals in the USGS, GeoSpec and the SpecMIN mineral spectra libraries. Clay mineral alteration of smectite to kaolinite can be an indicator of bitumen in oil sands.